Here are some of the Biology Department's most notable annual events. For the most up-to-date news, photos, and more, check out the Biology FaceBook Page! The Biology Awards Picnic was held on Wednesday, May 7, 2018, and this year we had wonderful weather, great food, and lots of fun as always. Chair Andreas Madlung, assisted by Leslie Saucedo, announced the biology awards. Congratulations to all the winners (see below)! Another great poster symposium on September 6, 2018! Students from all the sciences showed off their summer research findings. See a list of students and their poster titles (with Biology students highlighted). 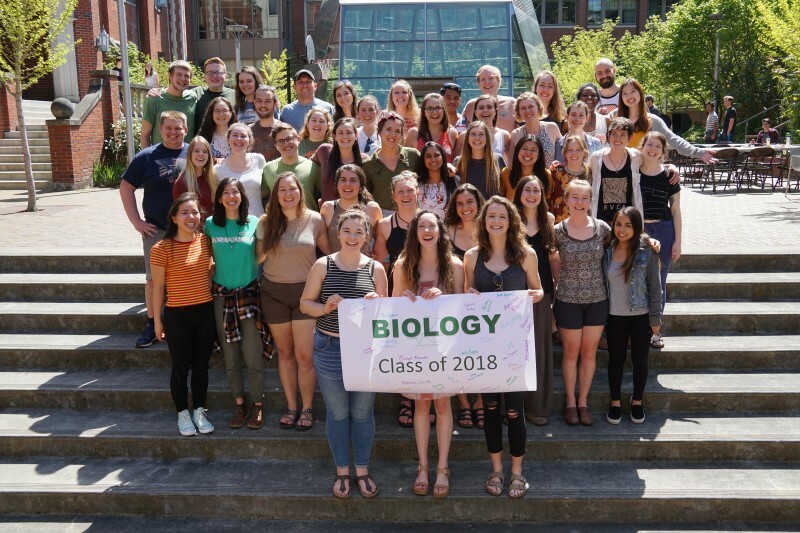 Congratulations to the Biology Class of 2018! Sunday, May 13 was Commencement Day for the 83 members of the class. Check out some photos of our graduates on the Biology FaceBook Page!